Hello April! April is associated with plenty of showers here and there to the rest of the world. But, in the realm of fashion. I think the one major event we think about when we hear April, would be Coachella. Unfortunately, I won’t be able to make my way over this year, but it doesn’t mean a girl can’t be thinking about it. Besides, spring is here so who is to say, this won’t come in handy for a little later. With summer along the way, there are just so many music festivals for you to prepare for! And I’m here with the top eight essentials you need for Coachella! You’ll probably be spending time all over Pinterest finding your favorite looks and going out shopping for what’s hot this year. Let me spare you some time. Coachella and music festivals of the sorts are special because it aspires good vibes all around – from the music, to your friends, to dancing your heart out, and what compliments it all — your outfit. You’ll be expected to show up somewhat boho-styled or whatever speaks your style and what’s the most important part of it all? Ah… the accessories! It’s like the event is to inspire you to be a blank canvas and for you to paint a million possibilities accessorizing. ONE. You’ll be needing that flower crown. This is the one event that you can go around public with a flower crown without people looking at you and thinking you’re delusional. And it’s the one prop that brings our your whole outfit and call out the good vibes! TWO. If flower crowns are too girly for you, don’t be afraid to whip out a scarf or bandana! They key is to have some accessories in your hair. Even small clips will do! THREE. Don’t forget your statement sunglasses. You’ll want it to make a statement yes. But it’ll also do your eyes a favor against the gleaming sun. Definitely a must have piece. FIVE. 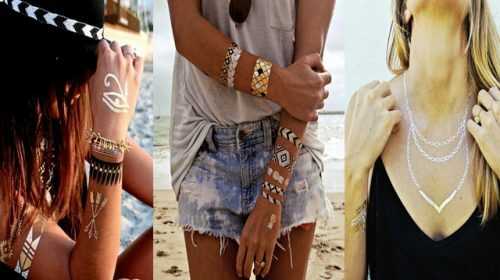 Decorate your body with stick on gems, glitter and temporary tattoos. Everyone needs some bling! Your whole look will instantly look glammed up if you add a tiny bit of glitter as your under eye eyeliner and just add a few pieces of gems by your upper cheek bone area! Temporary tattoos are a staple! They’re just much needed for any type of festival! SIX. Now, don’t forget a small cross body bag. I would advise against anything bulky. There’s a hurdle of people and you’ll be on your feet all day. The last thing you want to do is lug a luggage around. Just pack some essentials please. SEVEN. Speaking of feet. Do yourself a huge favor. Don’t wear heels. The point of a music festival is for you to have fun. And girl, I don’t think you’ll have fun if you’re in heels all day for Coachella. I say sandals please! In this case! EIGHT. Last but not least, bring a light cover up. It could be a large scarf or a silk kimono. Something along those lines. You’re there all day. When it gets dark, no matter how many people are there, with however much body heat, you may get cold. On your way home, you may feel cold. The last thing you want to do is catch a cold and spoil your fun. There you have it. I rounded up eight essentials you should consider to have for Coachella this year! I hope it helped! Let me know if you’re planning on attending this year! And if you plan to attend other music festivals in the summer! What accessories do you usually wear to a music festival? Feel free to enlighten me! Love this! flower crowns and body art are definitely my go to. Thanks for sharing! I know right! I hope you can finally make it 😉 Try out the tips when you do! I definitely say avoid the flower crown, because its so played out and stick with ankle boots or sneakers as the 90s are back this year. There will be a ton of bodysuits and chokers galore! Cute pics! Awesome tips! 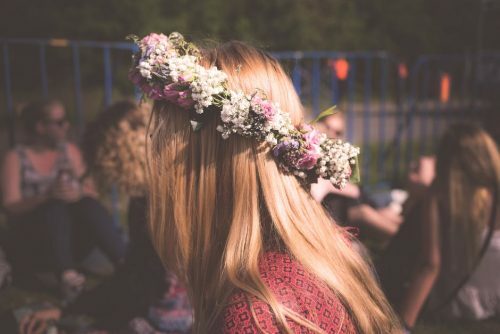 I personally love the flower crown only because there’s no other event I would probably wear them except maybe a photoshoot. But yes I get what you’re saying. HOORAY to body suits and chokers galore! <3 Thanks for dropping by! Love this post!! I love all the Coachella styles you posted!! I’m glad you liked it! 😉 thanks for dropping by! Loved all the styles and all the outfits! Thank for the Coachella inspiration, it’s one of my favorites! Aw thanks! 🙂 Glad you enjoyed it! Cute post! I’m doing a news segment on Coachella fashion today! Festival Season is in the air! ♥ thanks for dropping by! I have a friend here in Sydney who is flying over for Coachella (fro the second year in a row!)! I hear its a great festival 🙂 Unfortunately my friend who is going is a guy, so this won’t be very useful for him. Cute tips though! Great style suggestions! My dream is to go to Coachella one day. thank you so much! ditto the necklace! Great picks! I’m all about statement sunnies! i know! i can’t wait to get myself a new pair as well! still shopping for the perfect pair! Coachella has become a huge event. yeah! i agree. it’s like the statement of all music festivals! yes! me too! probably one of the few events i would wear one! love em tho! so cool, Coachella looks like so much fun! i agree! thanks for dropping by! I can’t believe it’s almost Coachella season again. When it comes to acing that perfect Coachella look, the accessories really make the look! This roundup is so on-point! Hello Jess! Thank you so so much for dropping by! You have no idea how much I appreciate it! You’re such an awesome blogger from NY. Really look up to you & been following you on all platforms! Thanks again, and looking forward to read your next post as well! Isn’t it? 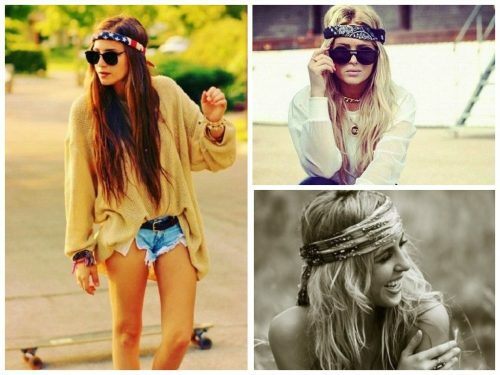 The style is good for any music festival or even any summer/spring day! Girl you said it! It may be overrated at Coachella but it’s like the staple of coachella! Great list of essentials! And actually, aside from the flower crowns I think these are great wardrobe staples for any time – but then, I’m already pretty boho. 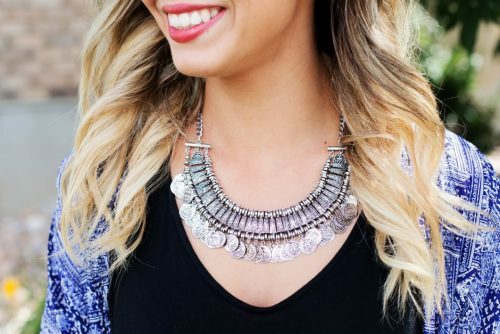 Cute looks that will work in other venues besides music festivals. I love the statement jewelry and sandals.